Welcome to Coffee Street Inn located in historic Lanesboro, Minnesota. At Coffee Street Inn you'll stay directly across from the bluffs and the Root River Bike Trail. Located just 1½ blocks off Main Street, it's an easy walk to fine restaurants, live theater, shopping and the arts. During your stay you'll enjoy comfortable, immaculate rooms furnished with cable TV, coffeemaker, air/heat, spacious, private bathrooms with tub/shower combo, and blow dryer. Best of all, you'll discover we're affordably priced. 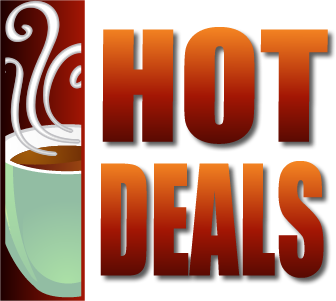 You must mention these specials at time of booking to receive the Hot Deal! GET SQUIRRELLY WITH SURLY AT THE THIRD ANNUAL PUB CRAWL! We travel bar to bar, drink Surly beers, enjoy time with friends and crawl on! This event is meant to be an experience in beer education, as your goal is to taste all 12 Surly beers.